The federal government plans to regulate e-cigarettes to make vaping products less accessible to young people. "The proposed act amends the Tobacco Act to regulate vaping products as a separate class of products," Health Canada said in a statement on Tuesday. The aim is to protect young people and non-users from nicotine addiction while allowing adults access to e-cigarettes. "We know that there is some evidence to suggest that the use of vaping products can be used as a harm-reduction tool for people who are current smokers," Health Minister Jane Philpott told reporters in the Commons. "But at same time, they have [been] shown to be an enticement for young people to take up smoking and become addicted to nicotine." The government aims to regulate the manufacture, sale, labelling and promotion of e-cigarettes and vaping products. A key part of the legislation introduced in the Senate is to regulate health claims, such as that a vaping product will help smokers quit. The legislation would cover vaping products with and without nicotine. A ban on the sale and promotion of all vaping products to those under age 18. Prohibiting the promotion of flavours that appeal to youth, such as candy flavours. Creating regulatory authority to display health warnings on vaping devices. Rob Cunningham, a senior policy adviser at the Canadian Cancer Society, said e-cigarettes should be regulated. "The new federal legislation will deal with areas of federal responsibility, such as advertising and promotion, packaging, the product itself, use in federally regulated workplaces and public places." Cunningham said the new federal legislation would complement provincial legislation adopted in eight provinces. Alberta and Saskatchewan lack e-cigarette laws. The contents of the bill largely follow the recommendations of the federal health committee, he said. But it doesn't address another way teens get e-cigarettes, said Yan Bar, owner of Eastern Bloc Vapes in Toronto. "The internet is wide open, and that goes with just about everything these days," Bar said. Child-resistant packaging for vaping products is also proposed to protect children from the risk of nicotine poisoning. 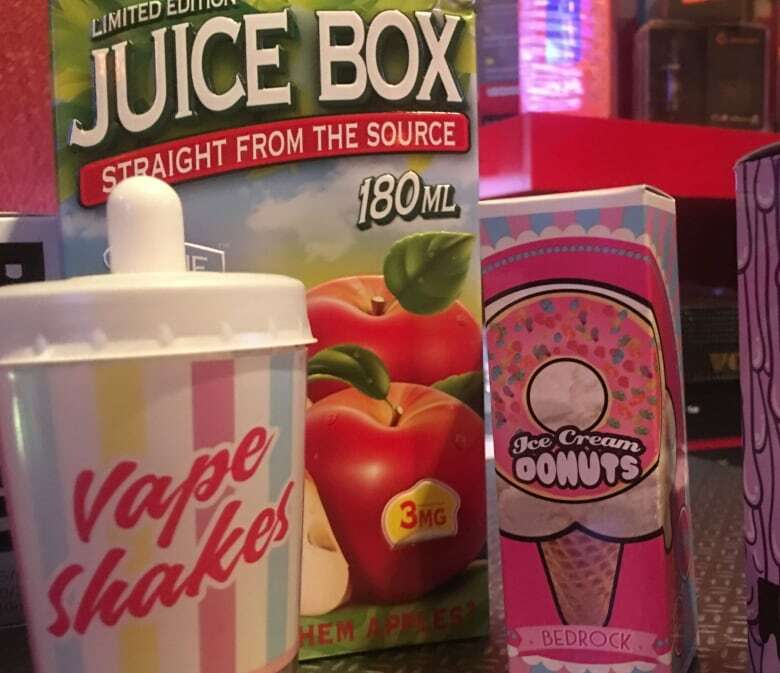 Data from the 2015 Canadian Tobacco, Alcohol and Drugs Survey suggests that in 2015, 26 per cent of Canadians aged 15 to 19 reported having ever tried an e-cigarette, up from 20 per cent in 2013. The proposed legislation would also implement plain packaging for tobacco products, similar to the law in Australia. Brand colours, logos and graphics on tobacco packages would be restricted. In May, the department announced three months of public consultations on the move.